Arthritis is a painful condition that can leave someone feeling limited and lonely in their journey. Many arthritis sufferers turn to antirheumatic drugs, steroid injections, or joint replacement surgery, in order to cope with pain. However, for many patients, physical therapy and other similar natural treatments have been proven to present better solutions. For more information on how our natural form of pain management can help relieve your arthritic pains, contact Appalachian Physical Therapy today. Physical therapy isn’t just about doing specialized exercises. In fact, manual therapy is a crucial part of many physical therapy treatment plans. It is the hands-on component of PT that not only gives arthritic patients much-needed pampering, but also helps to ease discomfort. Manual pain relief treatment often occupies a significant portion of an arthritic patient’s physical therapy session. Additional treatment methods may include ice and heat therapies, massage, and even specialized machines, in order to ease aching joints. Your physical therapist can alternate heating pads and ice packs to naturally relieve pain. Targeted massage boosts circulation and creates a soothing, warming sensation for arthritic areas. Ultrasound machines bring soothing heat deeper into the affected joints. No matter what methods and modalities you are prescribed, you can find solace in the fact that your physical therapist designed your treatment plan specifically for you. How does PT help build range-of-motion? Anyone with arthritis can vouch for the painfully stiff joints that accompany the condition. If you try to push the affected joint further than it can move, the resulting sensation can range from a nagging twinge to sheer agony. Flexibility exercises learned in physical therapy sessions gradually allow your joints to become more limber, while resistance exercises work to strengthen the muscles that support those joints. By participating in such treatments, your complete physical therapy session will allow you to achieve lessened discomfort and greater freedom of movement. How are painful joints isolated? Rest can sometimes be the best cure for arthritic joints. However, too much inactivity can actually worsen the problem by weakening the surrounding muscles. Your physical therapist can help you isolate the painful joint, so you can remain active while finding relief. Bracing provides natural pain relief for your arthritic condition. Depending on where your arthritis is rooted, a specialized neck collar or wrist splint can also provide specialized support for that joint. By isolating the painful area, you will be able to go about your daily life without worrying about the aches and pains you are carrying with you. How can I learn new ways to move? It’s not always simple to anticipate which actions you make will bring on arthritic twinges and sharp pains. Even something as simple as turning a corner while walking can cause your arthritic shoulder to tense and twist in a way that you never even noticed before, resulting in a jolt of pain that seems to shoot right through you. Because of this, learning new ways to move is important, in order to help you avoid some of those unwelcomed painful sensations throughout the day. During physical therapy treatments, arthritic patients are able to learn which motions lead to discomfort. Their physical therapists are also able to demonstrate new joint protection techniques, in order to avoid unnecessary pain. This could be something as simple as using a purse with a particular kind of strap, in order to take pressure off your wrists, or exiting the car or bathtub in a different way. If you have arthritic fingers, a physical therapist can demonstrate how to carry objects with your palms instead of grasping them. Laying objects across the arms instead of carrying them in your hands is another common technique. Throughout your treatments, you will also gain information on the latest tools and gadgets that can help make day-to-day tasks much less challenging. Of course, each patient is different when it comes to the best type of physical therapy and related natural treatments for arthritis. A large part of your treatment prescription depends on the location and severity of your condition. A physical therapist on our team can give you a careful assessment and determine which methods will be best in providing you with natural pain relief. 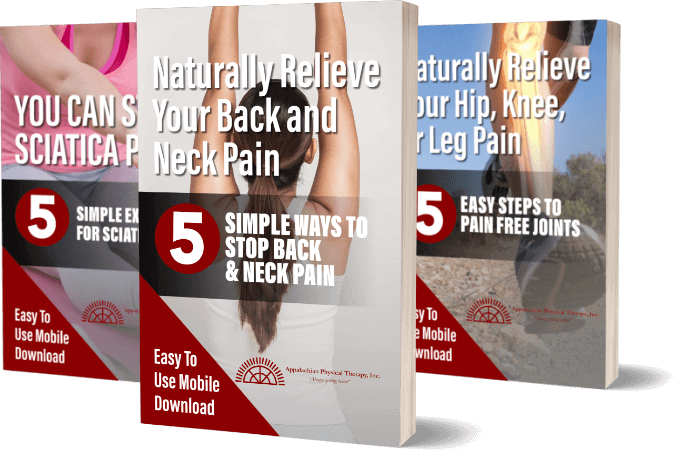 Contact our Harrisonburg, VA, Broadway, VA or Pinehurst, NC office today to secure an appointment and get started on the path toward natural, safe, and effective relief!